"Now he is Prime Minister of an impoverished nation that cannot pay its bills and is dependent on handouts from rich neighbours like China and the Arab Gulf states. 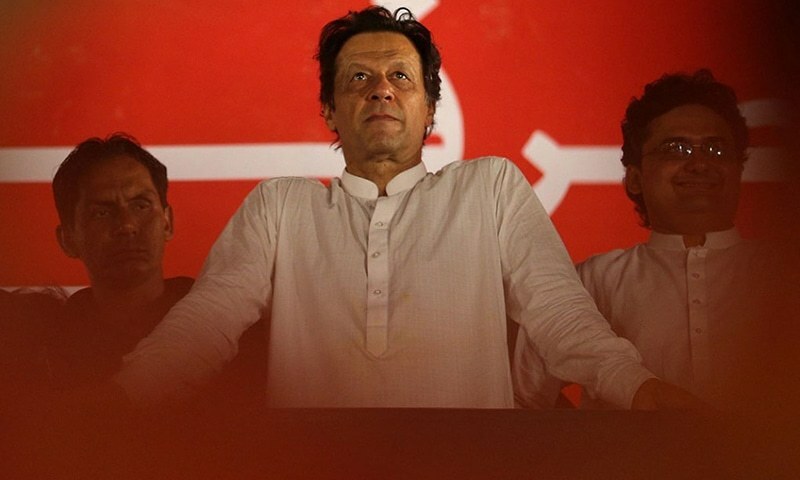 Prime Minister Imran Khan has been named among the '100 Most Influential People' of 2019 by Time magazine. The list, unveiled on Wednesday, has chosen the "influential people" under four categories: leaders, pioneers, artists, icons and titans. Journalist Ahmed Rashid wrote the following regarding Prime Minister Khan for Time's 100 most influential people issue. "Pakistan is at a critical crossroads, and the man in charge is the closest it has to a rock star. Imran Khan captained the team that won the 1992 Cricket World Cup, built a world-class cancer hospital in Lahore, then a top-notch university for kids who could never have dreamed of attending one. Twenty years ago, he entered politics—a dirty business in Pakistan at the best of times. "Now he is Prime Minister of an impoverished nation that cannot pay its bills and is dependent on handouts from rich neighbours like China and the Arab Gulf states. Critics say Khan is too close to the army and Islamic fundamentalists, and chooses advisers poorly. Driven by fierce ambition, he can be cold and calculating. But he still generates the broadest hope among young and old that he can turn Pakistan around, and help make South Asia an ocean of peace rather than a state of permanent conflict." New Zealand Prime Minister Jacinda Ardern, who received global acclaim for her handling of the aftermath of a terrorist attack on two mosques in Christchurch, also made it to the annual list. Among the other leaders on the list are US President Donald Trump, Pope Francis, American Congresswoman Alexandria Ocasio-Cortez, Chinese President Xi Jinping, Abu Dhabi Crown Prince Mohammed bin Zayed Al Nahyan, Malaysian Prime Minister Mahathir Bin Mohamad, and Israeli Prime Minister Benjamin Netanyahu.